Before I start talking about these shoes, some of you may have noticed that this isn’t the regularly-scheduled Friday Louboutin Fix, so let me just quickly reassure you that I do know what day it is – I just didn’t happen to come across any Louboutins I particularly wanted to show you. 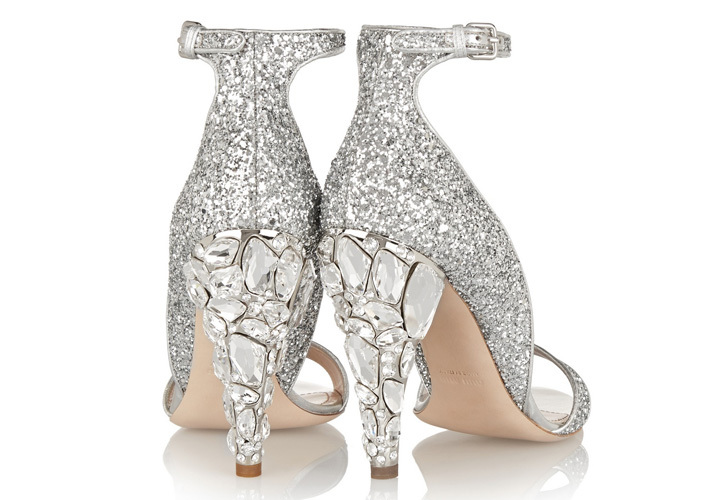 I really wish it COULD be a case of putting on these shoes, because they’re all kinds of amazing, aren’t they? 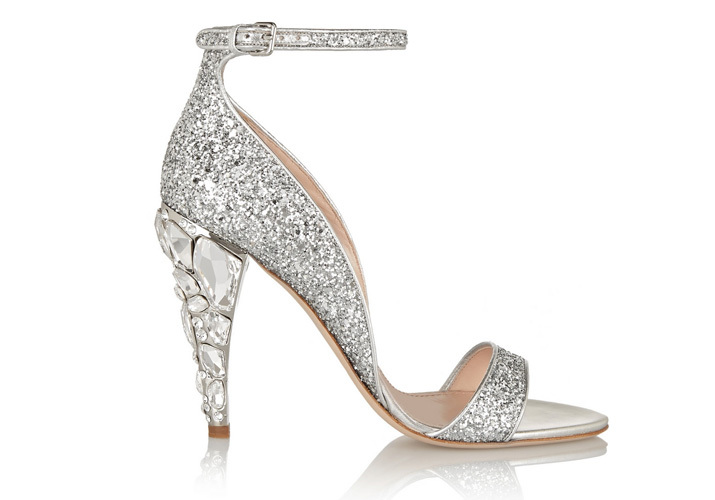 From the asymmetric sides to the heavily bejeweled heels and the silver glitter uppers, they’re true fairytale slippers – shoes fit for a princess. Or a shoe blogger. Ahem. If I had one wish, it would be that they’d skipped the ankle strap, which I can always live without, but it’ll make the shoes feel a lot more secure on the foot, so I’m sure I could live WITH it, too. 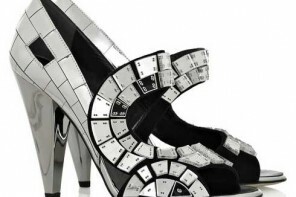 Oh, who am I kidding: if I had one wish, it would be to own these shoes, ankle strap and all. Anyone got a spare £925 they want to lend me? Anyone at all?